Robert Schumann had arrived in Düsseldorf on 2nd September 1850. The house at Bilker Straße 15 was his fourth and last place of residence in Düsseldorf. The family of eight moved into the first floor of the building on 19th September 1852. 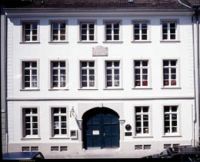 Schumann lived here until 4th March 1854, the day of his admission into the sanatorium in Endenich near Bonn. Clara Schumann, with a study of her own on the second floor of the building, still carried on living in the house with her children until August 1855 before moving to Poststraße 25 where she stayed until her relocation to Berlin in October 1857. The house at Bilker Straße saw the creation of numerous Schumann compositions, for instance, inter alia, the Fantasy for Violin, Märchenerzählungen [Fairy Tales], Gesänge der Frühe [Songs of Dawn], Violin Sonatas, and the Conclusion of the Faust Scenes. 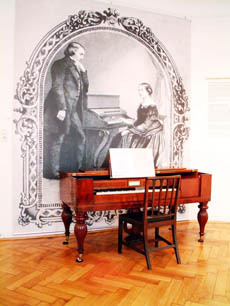 Although the Düsseldorf period only spanned three and a half within the 24-year-long creative life of the composer (1830-1854), it was during this last phase of life that about one third of his entire works were created. The Memorial Site is to render closely the historical atmosphere. 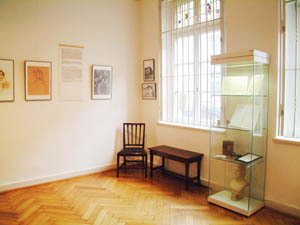 In the centre, there is a square piano. 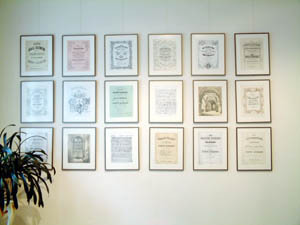 Text flags containing biographical details of professional, private or social events of the Schumann family are attached to the instrument. Furthermore, there are reproductions of portraits and title pages of the works composed by Robert Schumann in Düsseldorf. These materials are meant to be informative, particularly in the form of illustrations. 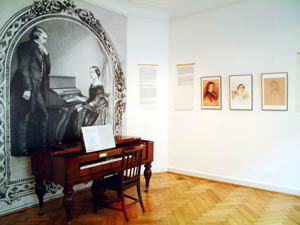 Some of the exhibits originate from the holdings of the Robert Schumann Society in Düsseldorf. 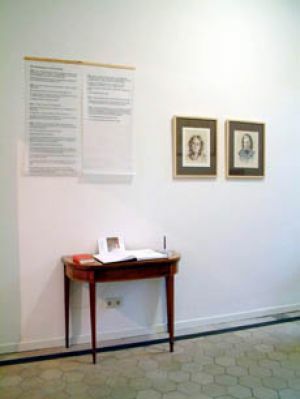 The originals of the reproductions are mainly kept in the archives or at the exhibition of the Heinrich Heine Institute at Bilker Straße 12-14 in Düsseldorf. There, they are available by arrangement in the reading room for perusal within the scope of academic research projects. 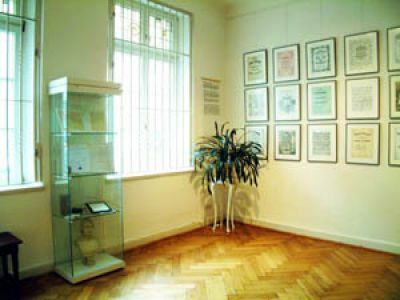 Admission tickets to visit the Memorial Site are obtainable during opening hours at the Heinrich Heine lnstitute, Bilker Straße 12-14. The Robert Schumann Memorial Site is open to the public at the same times as the Heinrich Heine Institute. 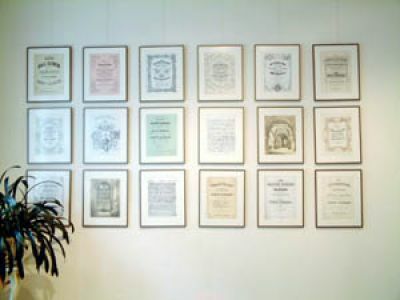 For members of the Robert Schumann Society, admission is free upon presentation of the respective membership card. 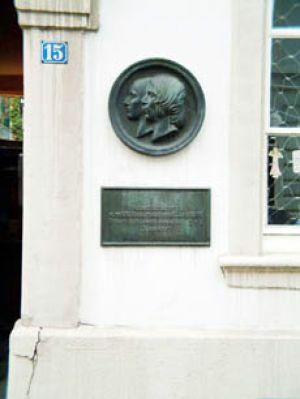 Guided tours in Schumann’s footsteps or of the Memorial Site on request from the Robert Schumann Society (for contact details, see there).